fter I drove the Audi R8 V10 Plus this spring, it was time to have some fun with Audi’s new model: the Audi R8 Spyder. Cars and coffee seemed to be the ideal event to attend. Of course the excitement was high, even though this version is a bit less powerful and since it’s a convertible – heavier. No doubt, summer is the perfect season to drive a Spyder. The V10 engine is definitely something special and now that we’re facing a massive downsizing trend, it makes you feel a bit nostalgic. 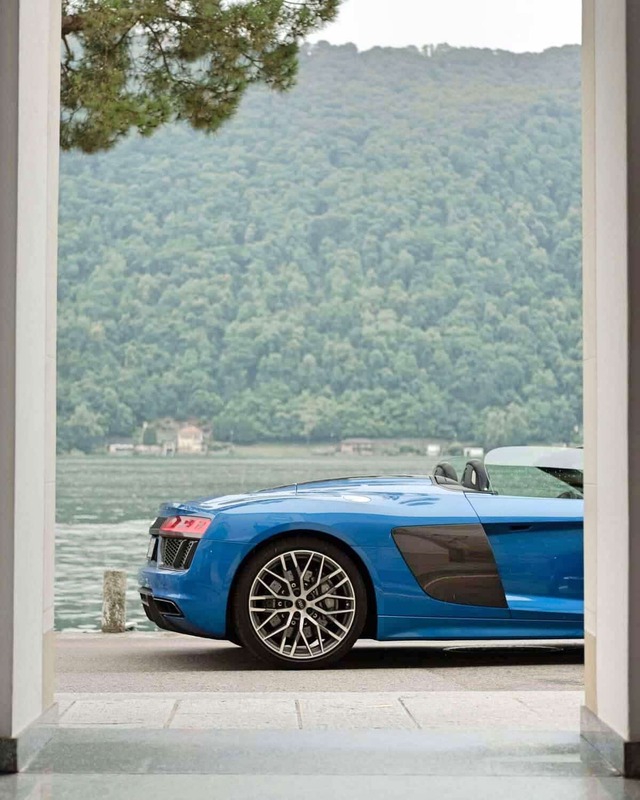 The perfect event to do with the Audi R8? Cars and Coffee seemed to be a cool thing to do. Cars And Coffee – What is it about? That’s pretty easy to explain: it’s supercar enthusiasts meeting for a coffee and exchange their experience. The events happen all over Europe, just check their page or facebook and figure out if there is anything coming up in your city. Driving a convertible V10 is incomparable to anything else. It’s worth every penny for the extra access you get to its deafening sound of pops, crackles and naturally aspirated wail. It’s so much fun and at the same moment you feel a bit melancholic, because the chance you might get this in a future model is decreasing rapidly. 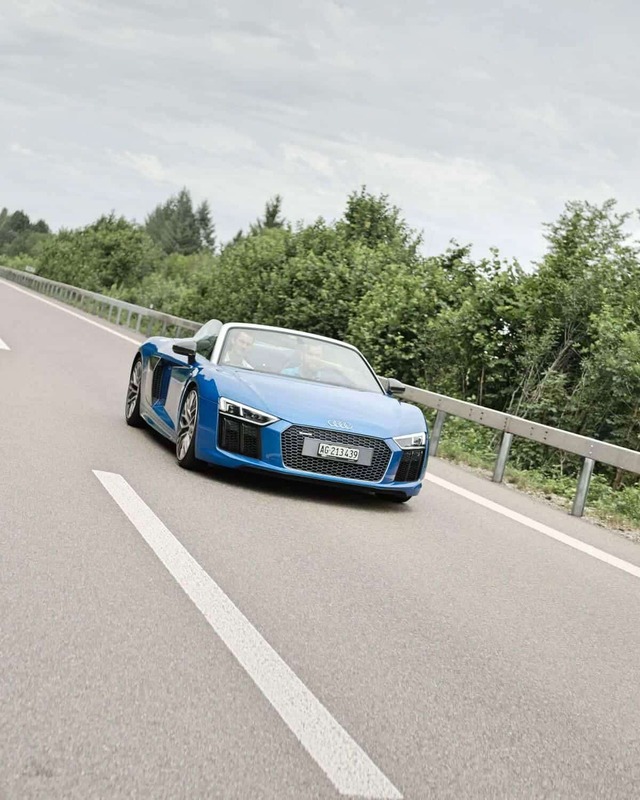 The Audi R8 Spyder is pretty heavy with a weight of 1720kg. But you know what? It simply never feels that fat. The pace of its 540bhp V10 helps and the agility delivered by Audi’s quattro four-wheel-drive. 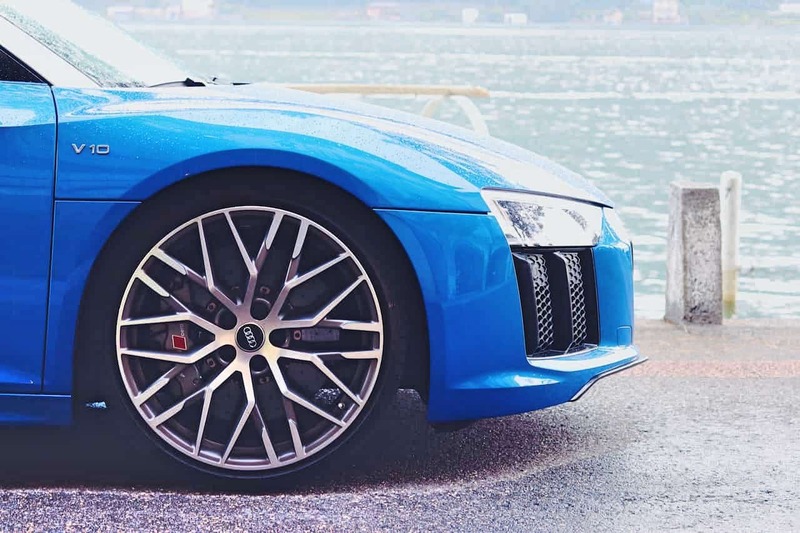 The R8’s roof takes 20 seconds, and can be operated at up to 40km/h which is pretty helpful in case it starts to rain. The Audi R8 Spyder is the ideal car to drive amongst a coast road or a mountain pass and just listen to the echo of this magnificent V10. The seven-speed paddleshifter is superb and makes long distance cruising easier than you might imagine. Feels and sounds fabulous, and it’s quick. The numbers? You will be facing a pretty typical Audi interior here. The cockpit that debuted on the TT is superb, and suits the more selfish nature of driving a supercar. There are a few fancy options which might be one of the reasons the car is heavier than its competitors. A cool feature: The little ‘noise window’ – a piece of glass that opens up the V10 orchestra without you having to open the roof, sophisticated! 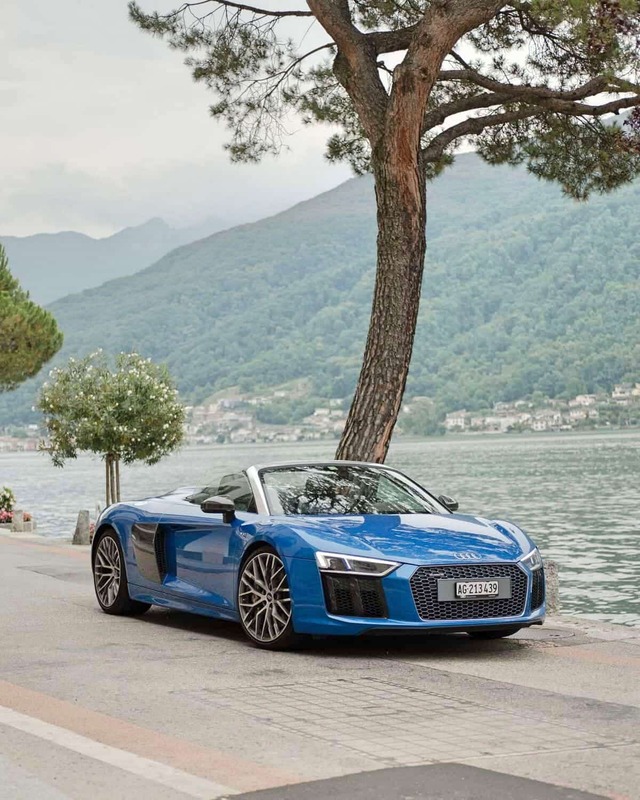 Audi R8 Spyder – Any disadvantages? We talked about this earlier, there is a bit too much weight. A price of 260k seems to be bit high, let’s see what the brand plans in future. 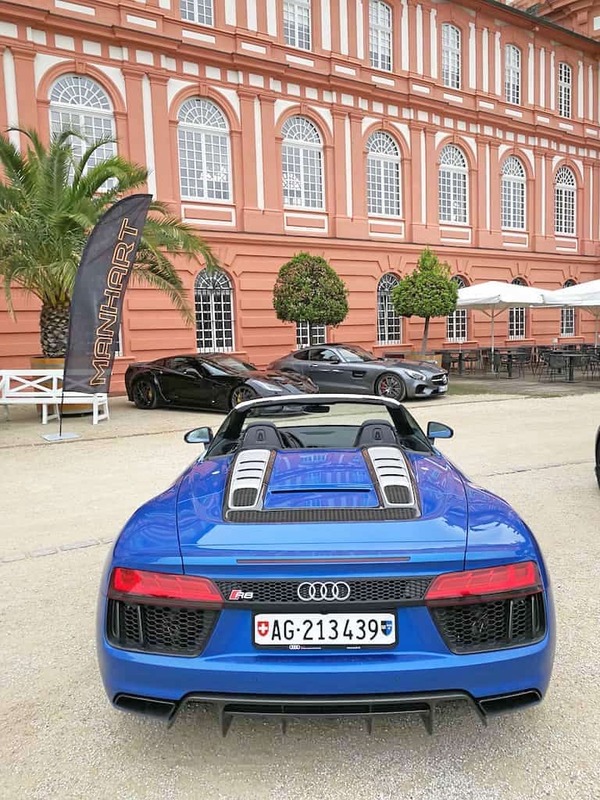 What about the Audi R8 Spyder V10 Plus? I’m talking to Audi about this. It looks like the Germans already announced it with the same 610bhp V10 that sits underneath the Lamborghini Huracan and the R8 V10 Plus. Let’s see if there is a chance to drive it soon! I have never seen such a big audience on a supercar event, it’s just mind-blowing. 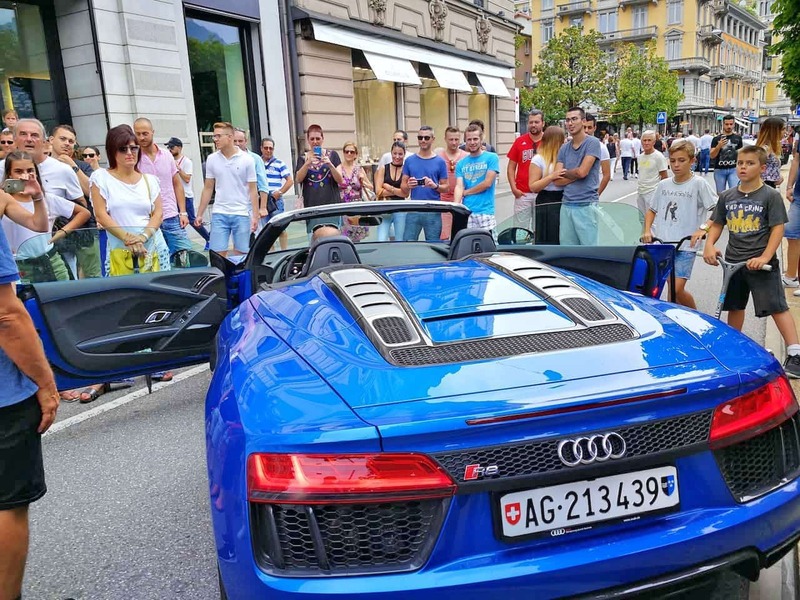 The attention we had with this unique Audi R8 Spyder was simply incredible. I will not be able to make cars and coffee in Zürich, but I hope for the next upcoming events.